After the usual busy section of Miscellaneous & Mixed Lots the ‘Oatcroft’ Collection of Crash & Wreck Covers provided some good if uneven realisations, the highest individual price being the £602 paid for the 1908 S.S. Finance wreck cover (lot 148). The morning session continued with an alphabetical tour of countries from A to E with the former British Empire once again showing a depth of support not matched by the ‘Foreign’ countries. Pleasingly, ahead of the specialised Australasia auction to be held on October 4th, Australia showed some strong prices, including the £2,408 paid for a used 1913 £2 (S.G. 16, lot 261). Star of this auction was always going to be the section of Falklands & Antarctica, 394 lots that constituted the entire Second Session of the sale. This was a comprehensive presentation that generated much interest, a ‘full room’ and ‘busy book’. 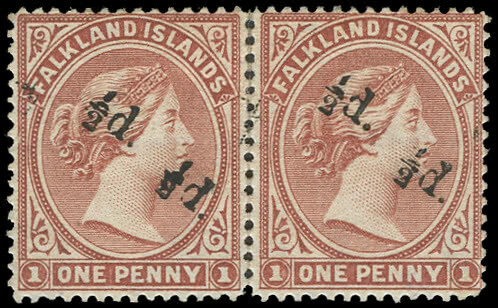 Top price of the day, unsurprisingly, was lot 475 (above), the only known cover bearing Falkland Islands Number One and featured on the front cover item of the auction catalogue. This ‘crown jewel’ achieved £38,528. 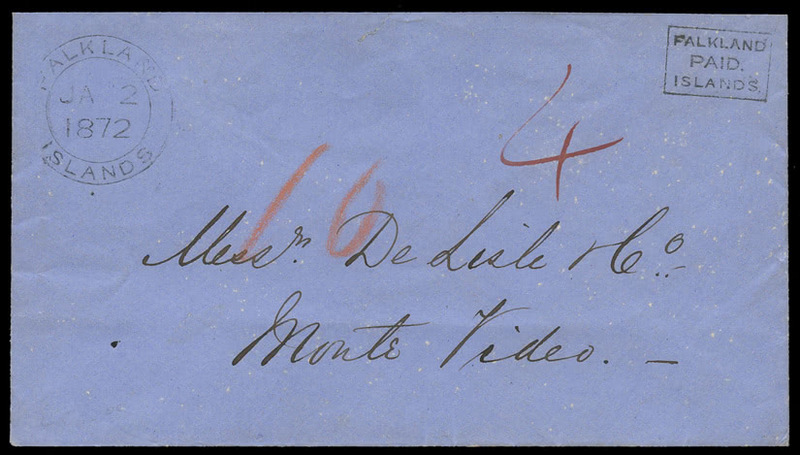 Among other notable items lot 489, the 1891 Bisect Provisional ‘mint pair of two unsevered pairs’ of the 1/2d. on half of 1d. brownish claret rose to £12,917; lot 457, one of only six (and perhaps only five) known Black Frank covers not addressed to the U.K., achieved £9,360; lot 822, the unique block of twelve of the Edward VII 2d. reddish purple used in South Georgia in 1912, changed owners for £10,109. 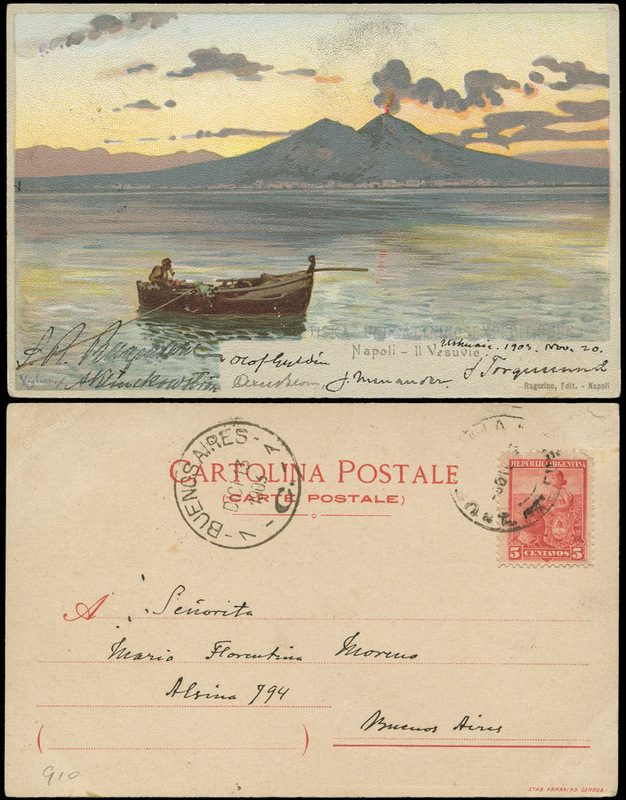 Amongst Antarctica lots, a picture postcard from the 1901-04 Swedish South Polar Expedition signed by members of the party, climbed to a striking £3,371 (lot 838, est. £400-600). Final session of the auction presented countries from Faroe Islands to Zanzibar with India, which is enjoying an exceptional period of results, again catching the eye particularly the prices now being paid for modern varieties. Missing colours are particularly popular; the 1968 Triennale Art Exhibition 15p. with orange omitted (lot 949 (left), cat. 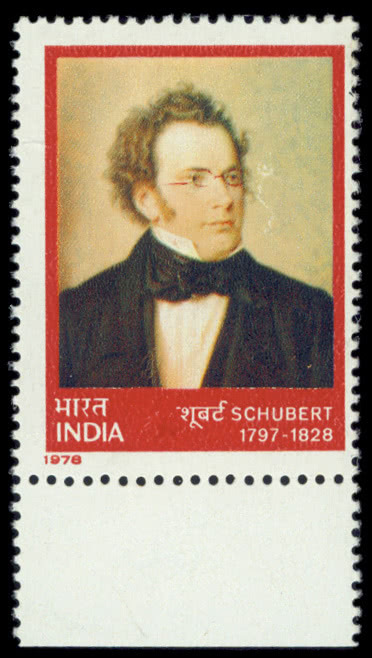 £6,000) realised £4,816 whilst a 1978 Schubert 1r. with black omitted (lot 954, cat. £750) achieved an even more impressive £2,106, a few minor gum creases notwithstanding. First sales of the GROSVENOR AUTUMN 2012 Season will be Australasia and British Empire & Foreign Countries to be held on October 4th and 5th. Complimentary copies of these catalogues will be available on request.